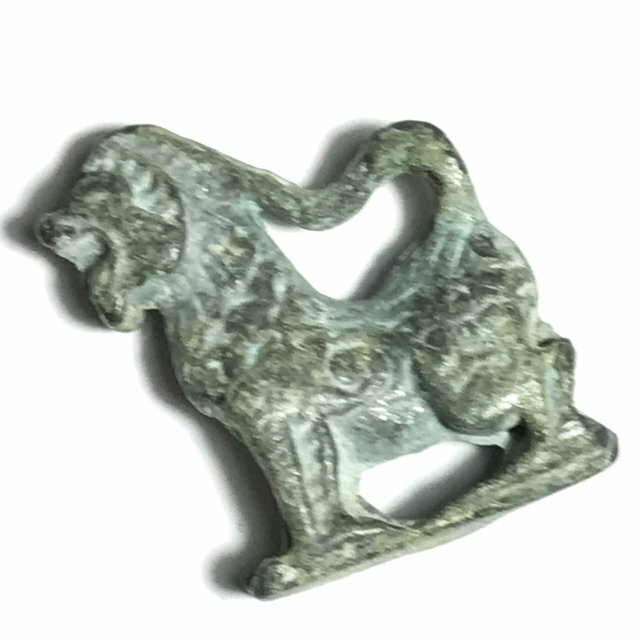 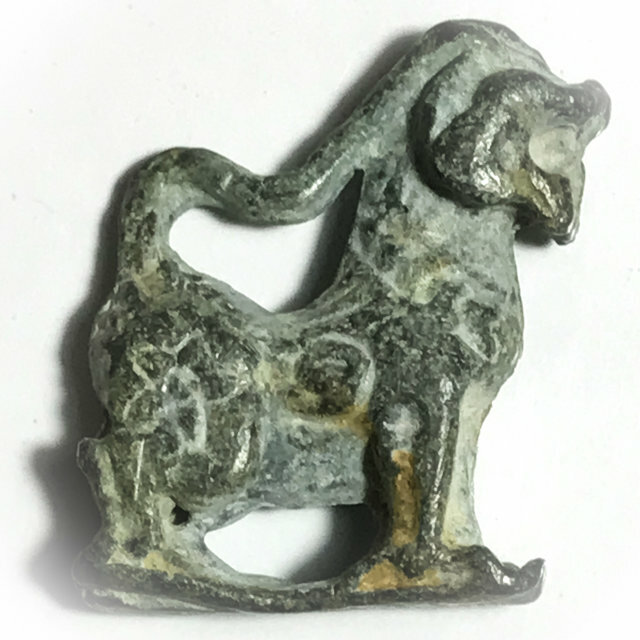 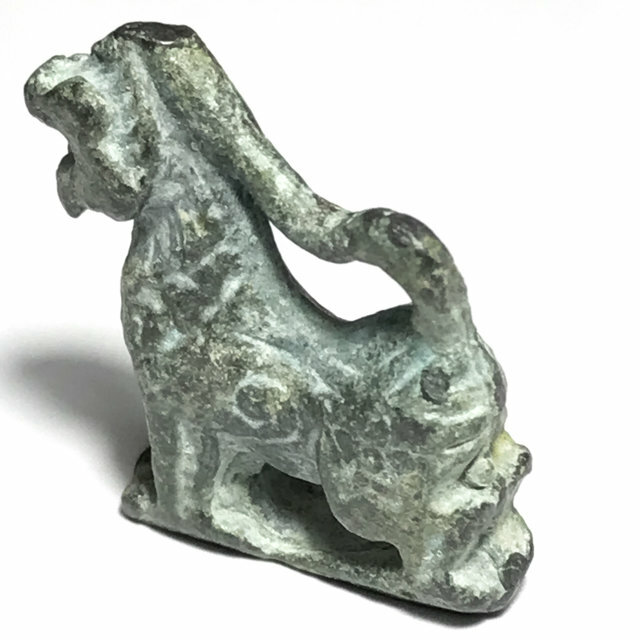 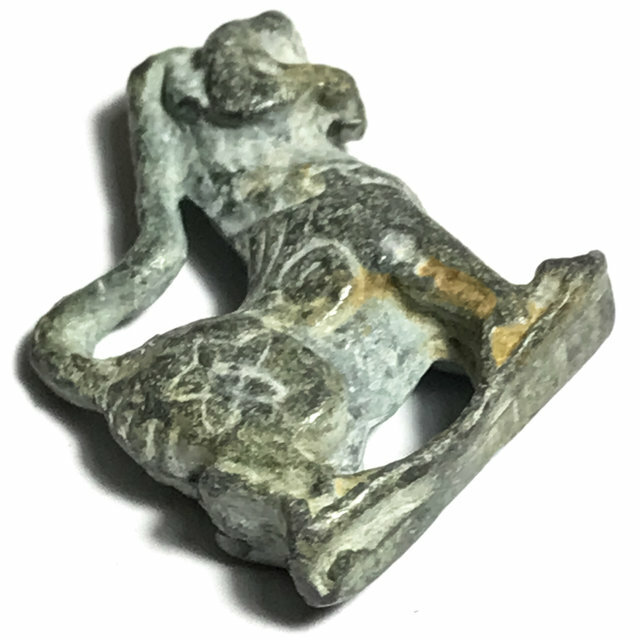 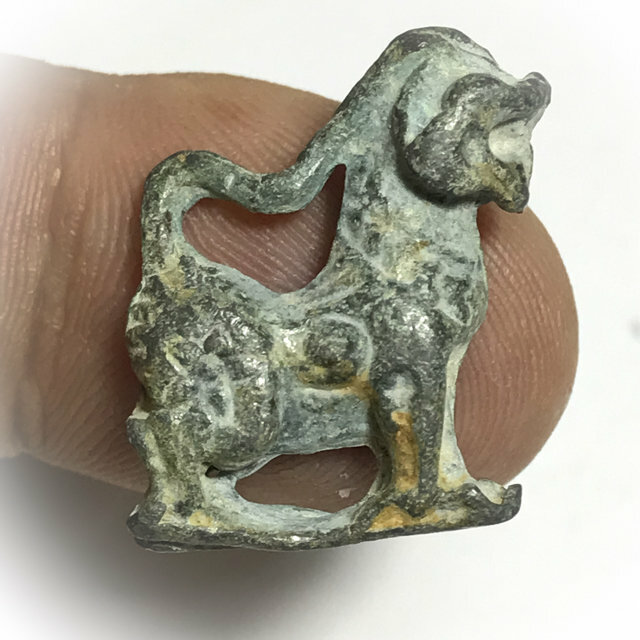 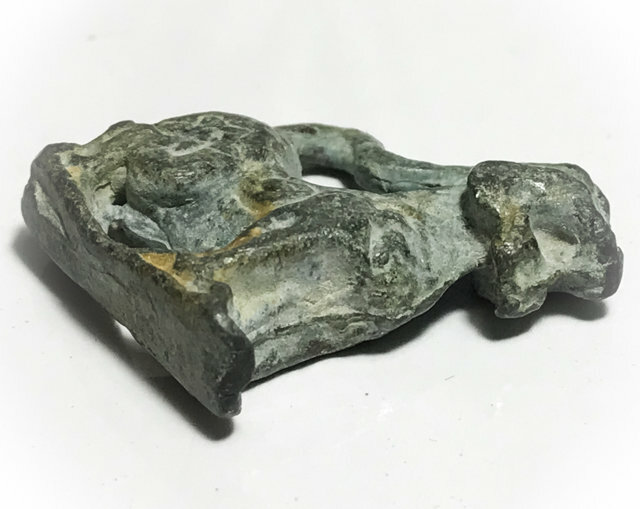 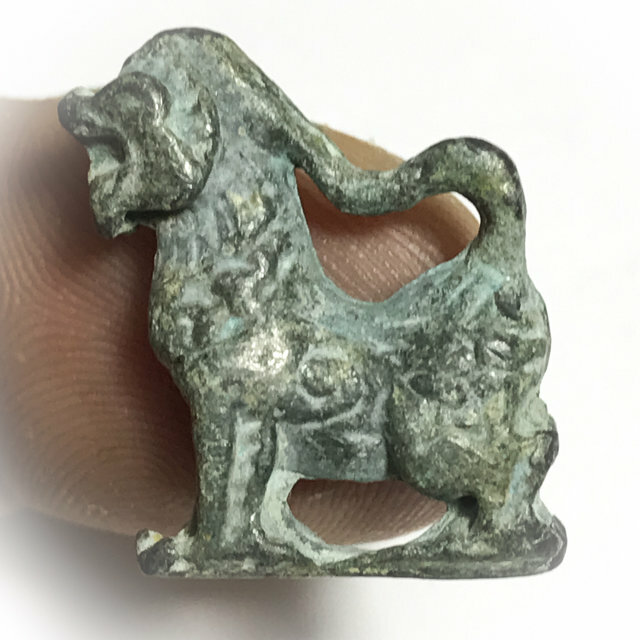 One of the most highly sought after and extremely rare amulets of Luang Por Guay, the Singh Kor Yaw long neck Singha Himapant Lion cast metal statuette. 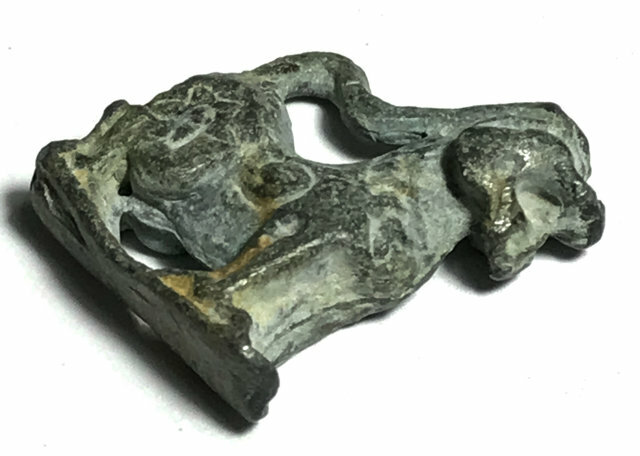 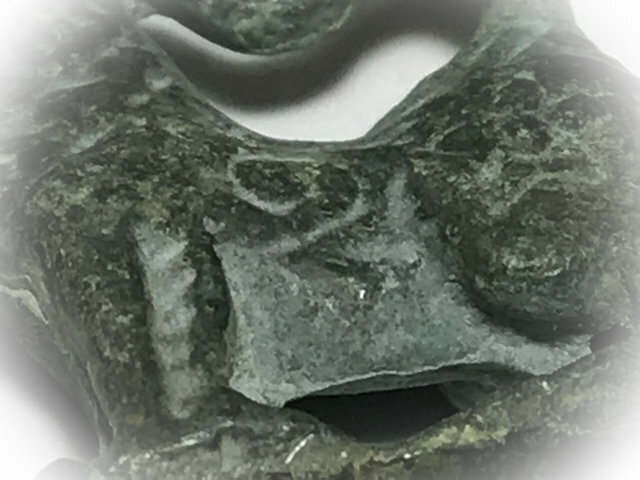 This Pim is in Nuea Dtakua sacred Alchemical Leaden Alloy, which is most preferred for the fact that this series was cast by Luang Por Guay himself with his own hand. 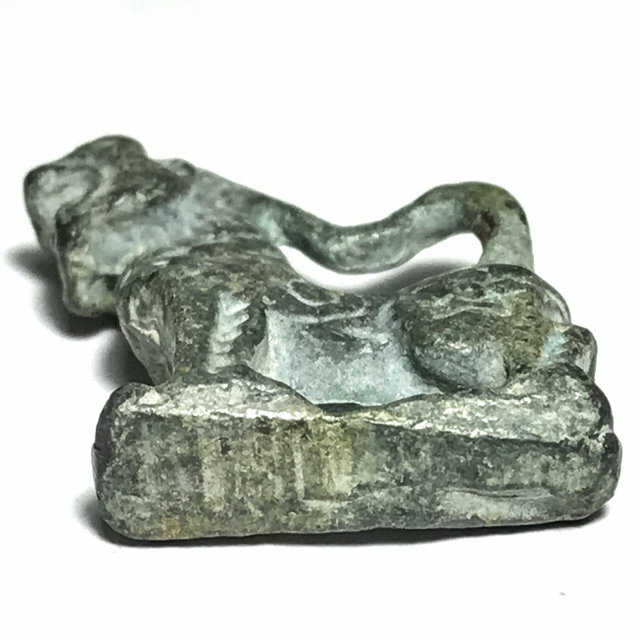 The Rachasri in Leaden Alloy is considered the most original and beautiful, for it was the only edition cast and designed by Luang Por Guay, whereas all other series editions were commissioned by an artisan. 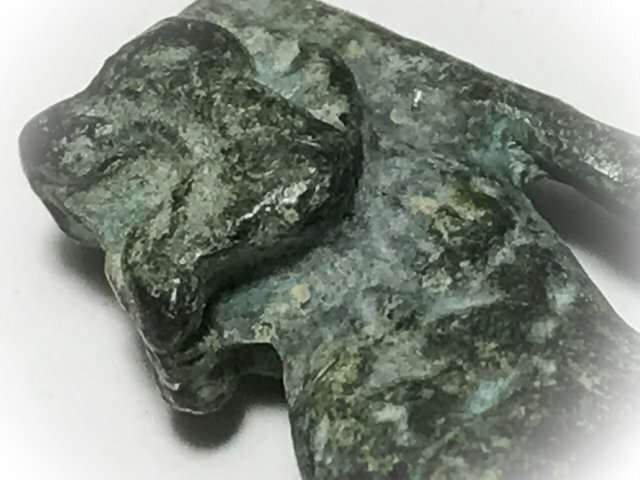 Also highly regarded for its Alchemical Mercurial Alloy with Powerful Elemental Magic, considered to be an extremely powerful conductor for Magical Energies.